Last week our destinies connected with those of some wonderful people from very different backgrounds, all thanks to our daughter Belén, and we are now part of a larger effort to bring to Buenos Aires UNESCO Artist for World Peace Marcel Khalifé. Marcel learned to play the oud growing up in Lebanon and has composed numerous lyrical and orchestral works incorporating both Arabic and western instruments. His compositions have been performed around the world, in such venues as the Kennedy Center, Royal Albert Hall, Sydney Opera House, La Scala, and more. 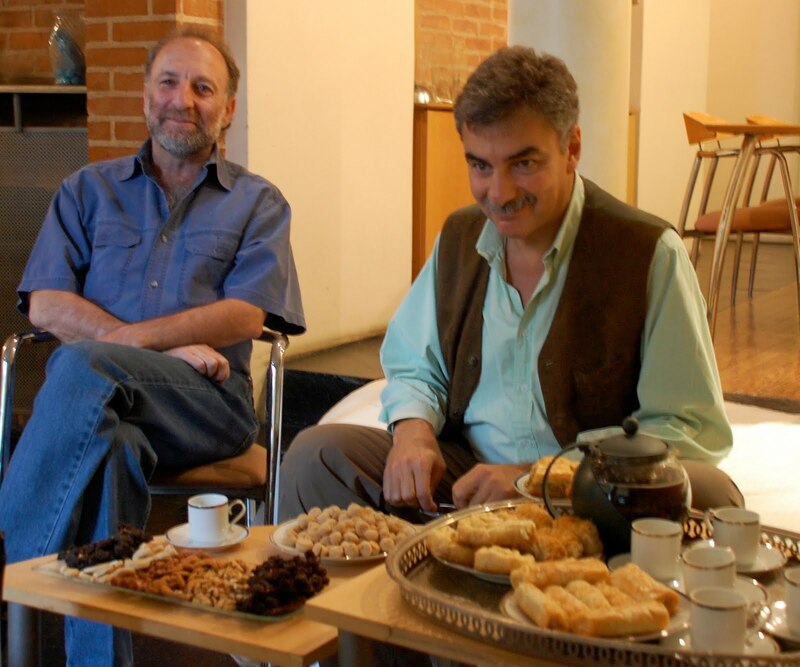 Mustafa Habib, Marcel's manager based in Houston, had graciously given Belén permission to use one of Marcel's compositions for the promotional video of her book Coffee with Hezbollah. When we learned that Mustafa was trying to arrange a Latin American tour showcasing Marcel's new symphonic works, we volunteered to help out however we could in Buenos Aires. Shortly thereafter we attended a program in the National Library put on by the Argentine - Arab community celebrating Palestine culture, with a special focus on poet Mahmoud Darwish, many of whose poems Marcel has put to music. At the reception following the program, we approached a young man who had accompanied with the oud a recitation of a Darwish poem. Thus we met the Attar family, five generations of Argentine Lebanese who speak Arabic as well as Spanish and English and who promote Lebanese and Arabic culture through a variety of organizations. Immediately, the Attars signed up to lend their considerable good will, talents, and resources to bring Marcel and his work to Argentina. Mustafa flew to Buenos Aires last week for a whirlwind of meetings with community leaders and embassy and city officials organized by Daniel Attar. 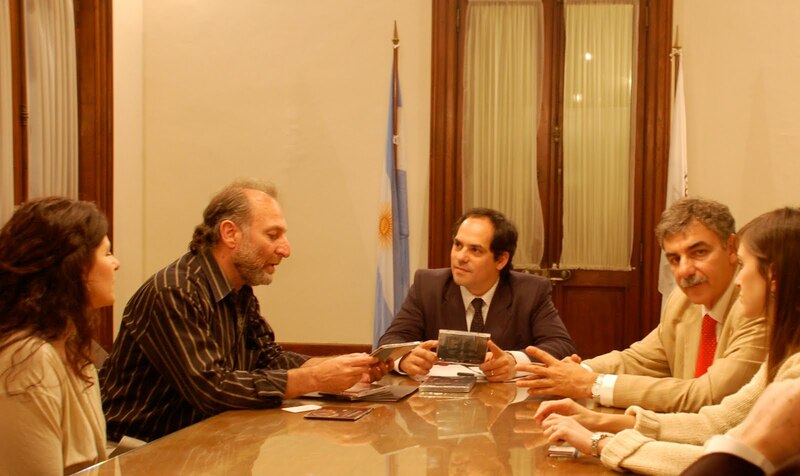 The response has been overwhelmingly positive, and the planning is continuing for a 2011 concert in Buenos Aires. We tagged along for several of these meetings as well as quite a few social occasions, including watching Argentina beat Mexico in the World Cup at the Attar house. We have been impressed not only with the talents and graciousness of the Attar family but also their genuine respect for all human beings. To commandeer a favorite saying of Daniel, we thank our God for our new friends. (Above right, Mustafa and Daniel at the Attar house; above left, meeting with the Buenos Aires Cultural Office.) More photos here.